During 2015-16, 711,000 students received at least one form of financial aid, i.e. around 36% of the population concerned. Financial and social support for students reached nearly 6.1 billion euros in 2015, 61% of which was direct aid from the State. During 2015-2016, 711,300 students received at least one form of financial aid (table 03.01), representing over a third (36.3%) enrolled in a course eligible for aid from MENESR (see opposite). The proportion of students aided of those eligible to receive it grew by 0.3 points two years in a row to a high of 36.3%. After a period of strong growth between the beginning of the 2005 (30.2%) and 2010 (37.5%) academic years, this proportion dropped during the next three years. 96% of students aided received grants based on social criteria, whilst the others received a specific annual allocation or one-off support. The proportion of students receiving social support at university was 34.5% (chart 03.02). Over half of STS students now receive social support (50.3%). This proportion rose by 2.8 points in 2015 over 2014. This sector accounted for the highest proportion of grant recipients. CPGE grant recipients represented 28.4%. This has increased substantially since 2005 (+ 9.4 points), including by 0.7 point between 2014 and 2015. In addition to scholarships, loans and grants (including emergency aid) paid by the Ministry of National Education, Higher Education and Research, in 2015 direct support included social housing benefit (ALS) and personalised housing benefit (APL) paid by the National Allowance Fund (CNAF), to which various tax benefits were added (tax reduction for dependent student, granting of an additional half-share allowance when the student is attached to the parents' tax household). Indirect support is also available. 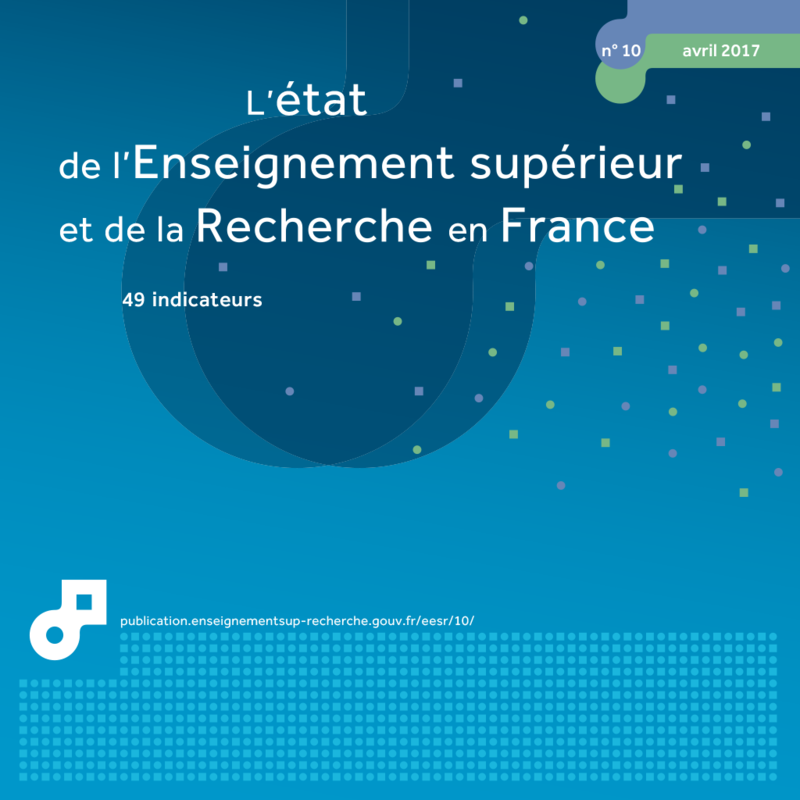 This includes social support from the French Regional Student Services Agency (CROUS), support for associations, exemption from payment of tuition fees for grant-holders and from the charge levied due to the deficit in the student social security system. In 2015, the total amount of student support was 6.1 billion euros (€bn) compared with €3.5bn in 1995, a rise of 73% in current prices and 32% in constant prices (table 03.03). Direct State aid accounted for 61% of aid in 2015. This proportion was an increase over the 1995 and 2005 figures (51% and 55% respectively). Grants and loans were the most significant expenditure, with more than 2 billion euros in 2015 (34% of the total). The most recent international comparisons of student aid published by OECD date from 2014 based on 2011 data and only show grants and interest-free loans paid by the State, which for France is around €2bn. Housing benefit (ALS and APL) and tax benefits, which represented €2.9bn in France in 2015, are not taken into account in the OECD indicators. The amount taken into account in international comparisons therefore under-estimates the total amount of aid received by students in France. If this support were included under the heading of public support in the same way as grants, then the share of State support would rise from 8.0% to 19.7% (2011 data) of public expenditure on higher education. 2 For France, if housing and tax benefits were included, the share of central government aid would rise to 19.7% in 2011.